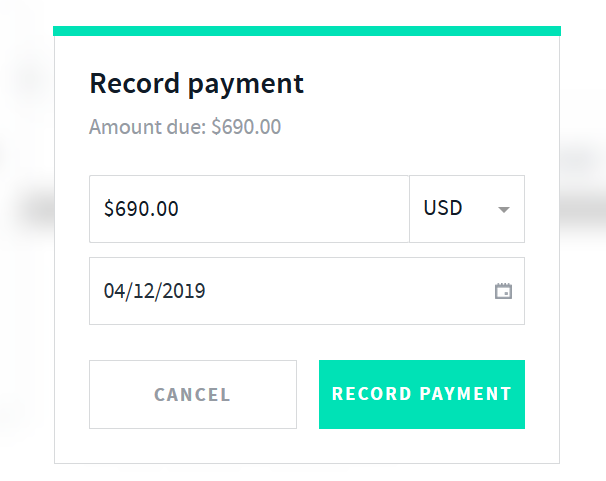 Invoices with AND CO need to be created and sent or marked as sent in order for you to mark them as paid/record a payment against them. 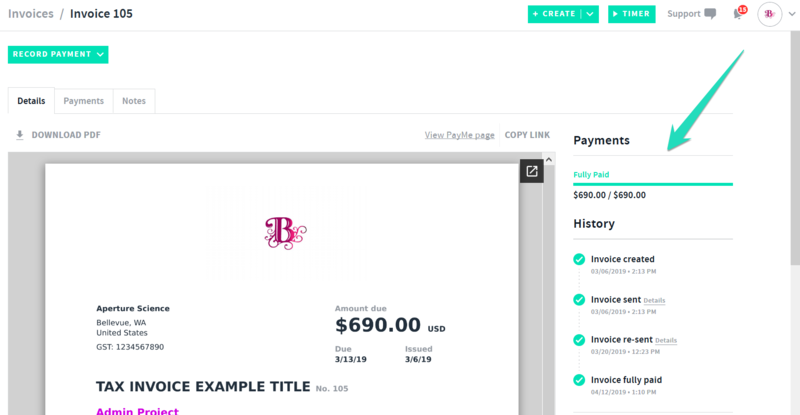 View more on how to mark a invoice as sent without sending it to your client here. 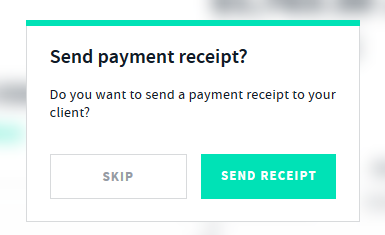 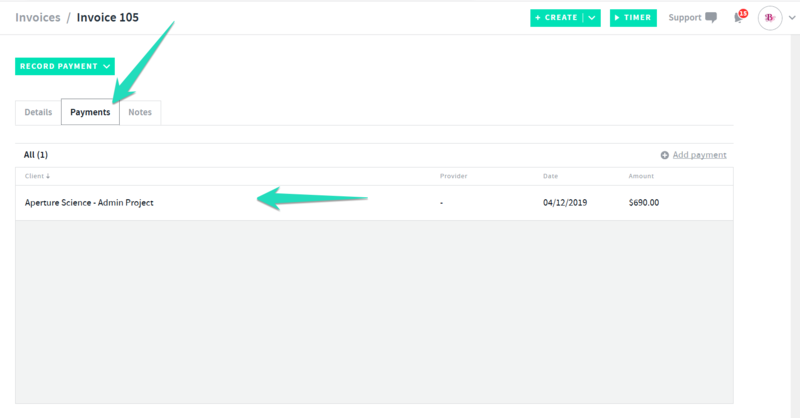 Once recorded you will see a option to send a payment receipt > select send receipt to send a payment receipt to your client or select Skip to not send a payment receipt. 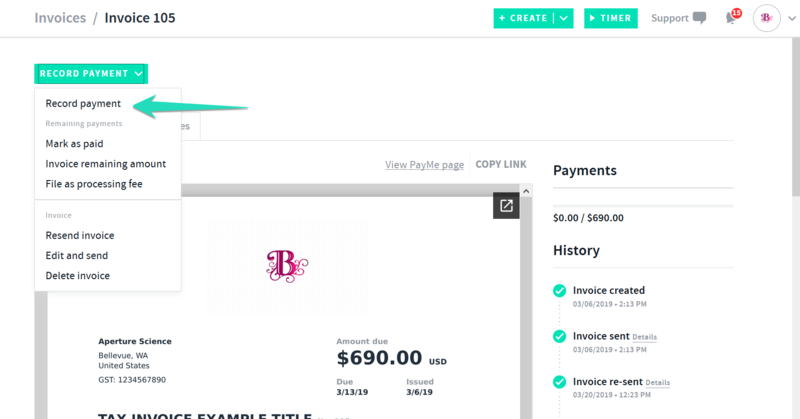 Your invoice is now marked as paid and you can see this via the invoice > invoice history on the right. 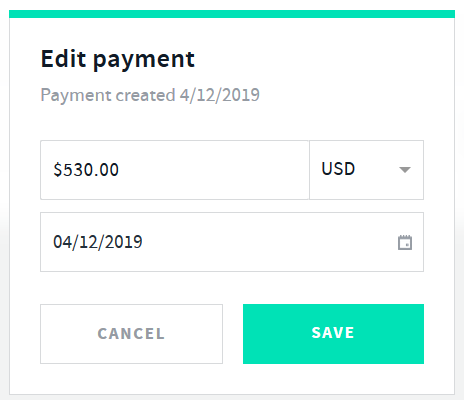 Selecting this option will mark the invoice as paid in full with the payment date being the same date you selected "record full payment" via this method.